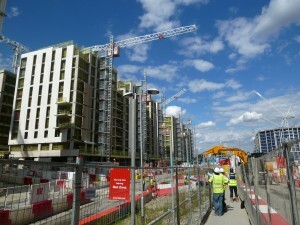 Dickens Yard is a vibrant new destination in the heart of Ealing, combining historic buildings with cutting-edge design. 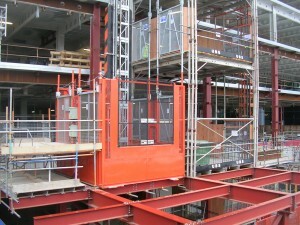 UBS utilized their patented Common Tower access system to overcome access difficulties and the restrictions on position of the main twin passenger goods hoist. 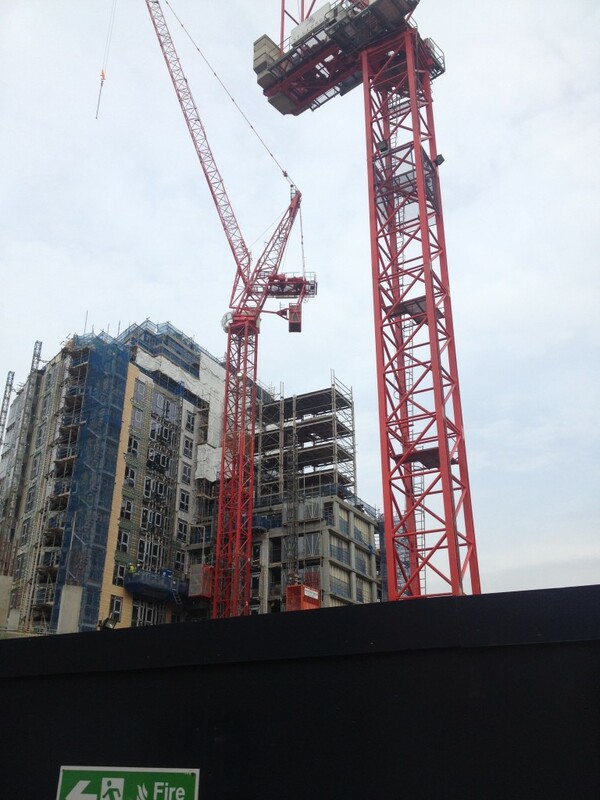 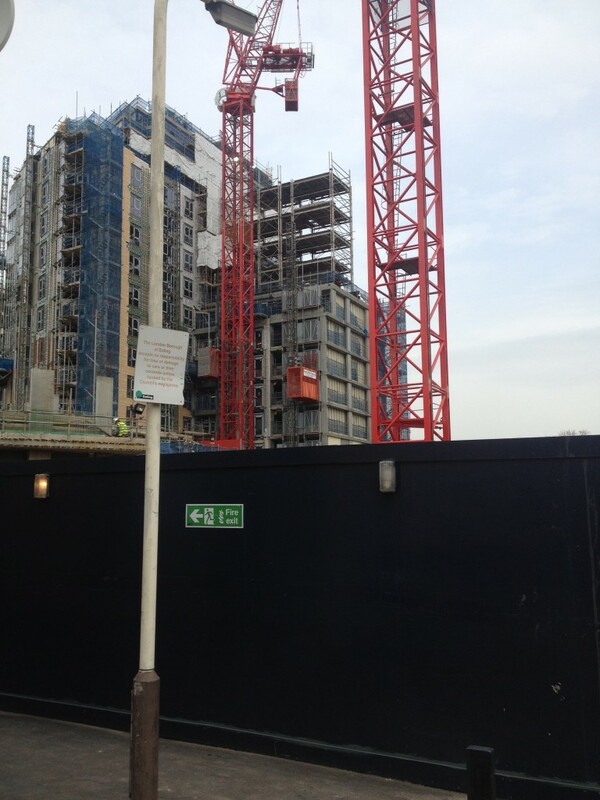 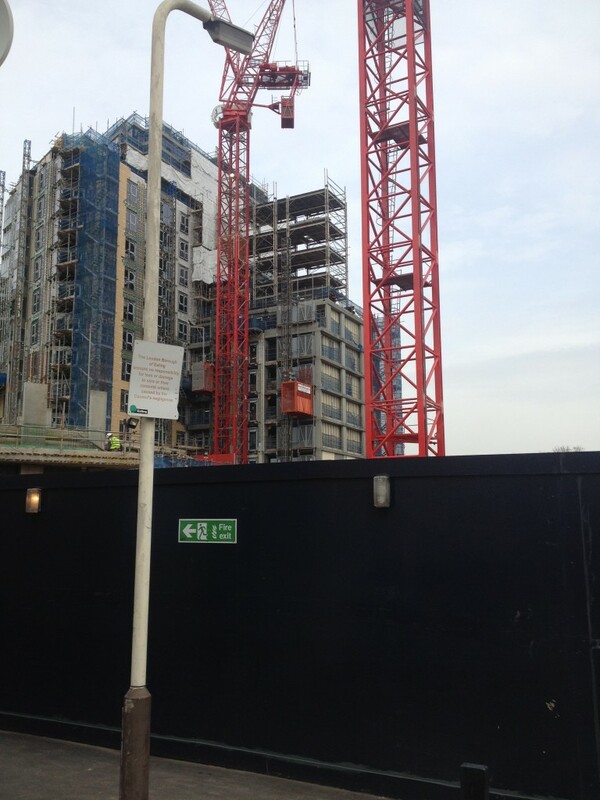 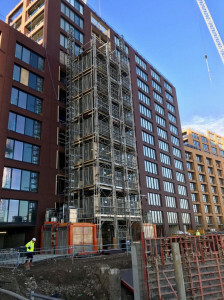 Due to the installation of balconies and finishing works UBS were left with a small area of opportunity for the installation of a twin hoist. 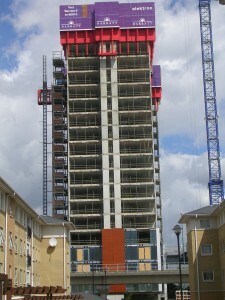 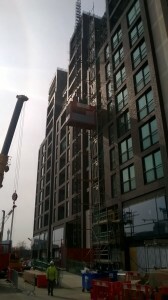 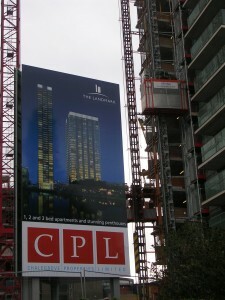 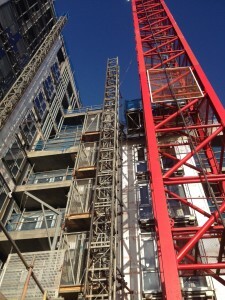 The install was standard until the hoist travelled past level 6 where the building disappeared and stepped in a further 20m to the left. 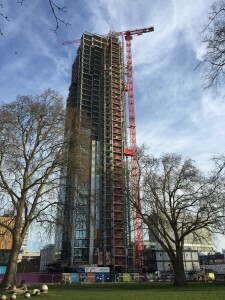 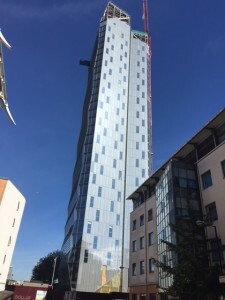 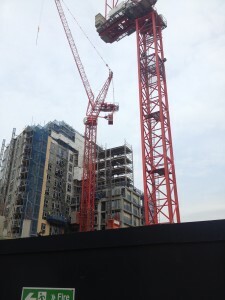 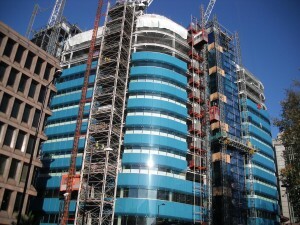 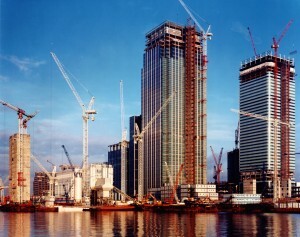 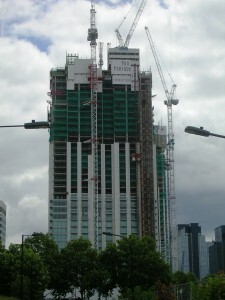 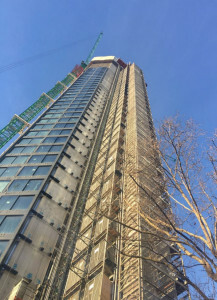 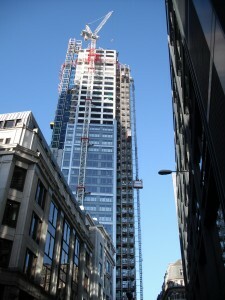 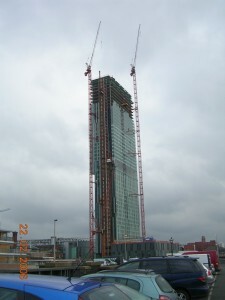 Using three common towers all interlinked and tied back into the building UBS were able to create a solid access run-off from the twin hoist into the building which continued to climb to level 11. 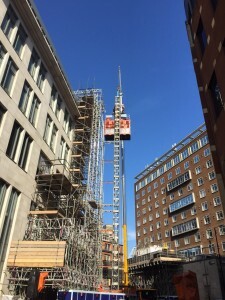 As well as the twin hoist UBS installed a large single passenger goods hoist to another block to aid in the transportation of men and materials. 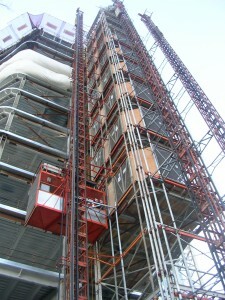 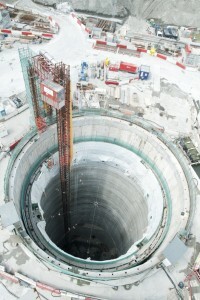 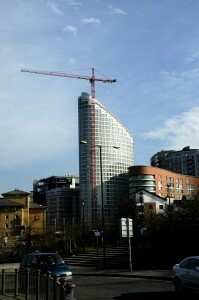 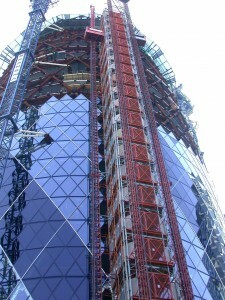 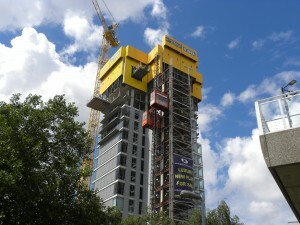 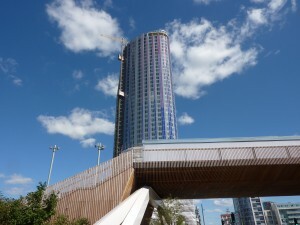 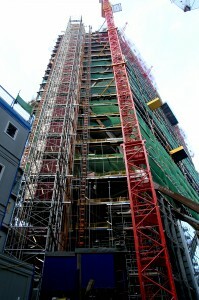 Again, the cutting-edge design came into play, stepping the building as it climbed higher. 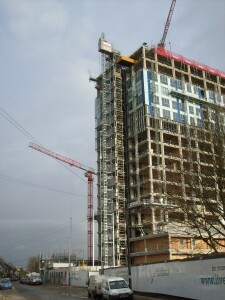 Allowing for the width of a large scaffold as well, UBS installed large tie legs to overcome the distance between hoist and structural slab.